Pregnant women are supposed to glow, right? Well here’s the truth: while your body is rapidly changing with hormones and a growing baby inside of you, your skin might not look as lustrous as promised. You could have breakouts, dark skin spots known as melasma, or some under-eye circles due to lack of sleep. If you want to turn to your trusted skincare products, know that it’s important to check the ingredient label first. The FDA has little authority to regulate our personal care products, so we have to do our own research. During pregnancy it’s especially important to avoid ingredients that could interfere with our body’s normal hormone functions. Those ingredients include phthalates, parabens, retinol, and more. While we can’t promise you’ll literally glow, these pregnancy-safe skincare products will make you feel more like yourself. Retinol is a powerful anti-aging ingredient. 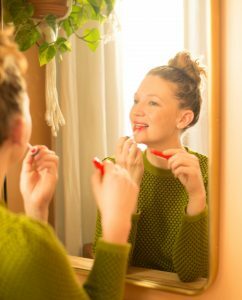 Sadly, experts say it’s best to avoid it during pregnancy, even if you use “clean retinol.” It just hasn’t been studied enough. But don’t worry! There are safe and proven options. Specifically, products with the natural ingredient bakuchiol have been shown to have similar results of retinol without the side effects. One study found that after 12 weeks of treatment with bakuchiol, there was significant improvement in lines and wrinkles, pigmentation, elasticity, firmness, and overall reduction in photo-damage. 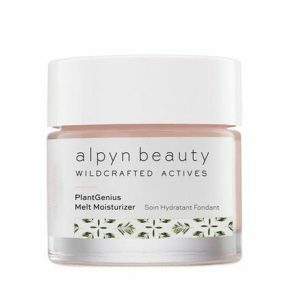 Credo sells Alpyn PlantGenius Melt Moisturizer, which includes bakuchiol and should do the trick for fine lines and dark spots. Unfortunately for me, my skin broke out constantly during pregnancy. 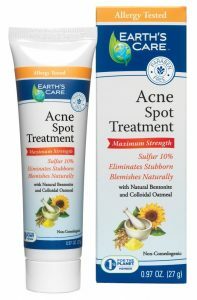 Common acne medications might not be safe, so it’s important to stick to something safe. 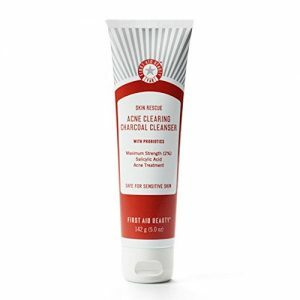 After much frustration, I found success with these two products that get a safe rating of 2 from EWG: Earth’s Care Acne Treatment Mask and First Aid Beauty Skin Rescue Acne Clearing Charcoal Cleanser. Everyone should use a mineral sunscreen, but pregnancy is the best time to make the switch if you haven’t already. Oxybenzone and octinoxate are two ingredients found in chemical sunscreens. They’ve been shown to disrupt our hormone functions, which is worrisome during times of development — like pregnancy. By choosing a mineral sunscreen that uses zinc as the active ingredient, you can avoid these chemicals. 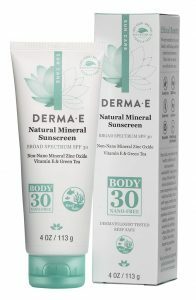 I really like Derma E’s mineral sunscreen. Sweet almond oil is my go-to natural moisturizer and it’s especially helpful for pregnancy. Sweet almond oil barely has a scent, which means it won’t activate your pregnancy scent aversions. (Just be sure to avoid “roasted” almond oil.) In addition, at least one study suggests it can prevent stretch marks. Almond oil is packed with natural vitamin E, zinc, potassium, proteins, and fats. 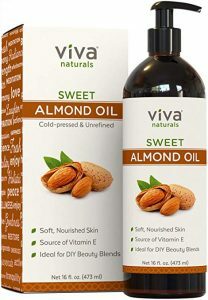 I like Viva Naturals Sweet Almond Oil. The best part about making the switch to safe skincare during pregnancy? You can keep using your new favorites after giving birth, too!